Nominations are made by UCSF faculty, who consider the translational research contributions of their colleagues and submit nominations for this prestigious award to the Academic Senate Committee on Research. Each year, the Committee on Research selects the recipient of this award. Kathleen Giacomini, PhD is the recipient of the 2019 Faculty Research Lecture in Translational Science. 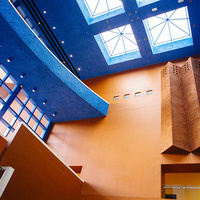 The lecture will be held in Byers Auditorium on the Mission Bay campus on May 9, 2019 from 3:30 to 5:00 p.m. followed by a reception outside of Byers Auditorium.